When it comes to attending trainings and workshops, mostly everyone is prepared to attend a long, tiring, and very informative event. Yes, this was exactly the first thought that came up into my mind when my coordinators at World Youth Alliance Europe invited me to the ‘MEET- An Interactive Media & Advocacy Training’ in Vienna, Austria. This project lasted for 4 days (26th of September to 29th of September 2018), and around 30 participants attended an intense Media and Advocacy training with a focus on learning to understand the media, develop skills in public speaking, gain confidence to be successful in interviews and debates in front of camera and audience. However, I realized for the thousandth time in my life that a first impression was not truly right. As soon as we arrived at the event, I had to stay at the registration desk and meet all of the participants. The Spanish group appeared at first. As I started to register them, I understood that I was surrounded by cheerful and very energetic young leaders with a huge desire to promote the dignity of human person in an international level. Nonetheless, Croatians and Austrian groups transmitted to me the same energy. We had quality conversations: talking about the importance of family and how family, as the fundamental unit of human society, teaches us all the basic concepts by introducing us to the values and principles that we follow in life. It is fundamental to mention that the environment and the participants were not the only reason why I loved this project. The workshops and trainings taught me a lot like the purpose of advocacy as a method of speaking on behalf of others and yourself. Using it to ensure the rights or needs that need to be recognised is at the core of what WYA represents in each of its chapters. While advocacy is ‘an added voice’ in promoting our rights and the rights of others, media is how these messages are spread to the outside world.. 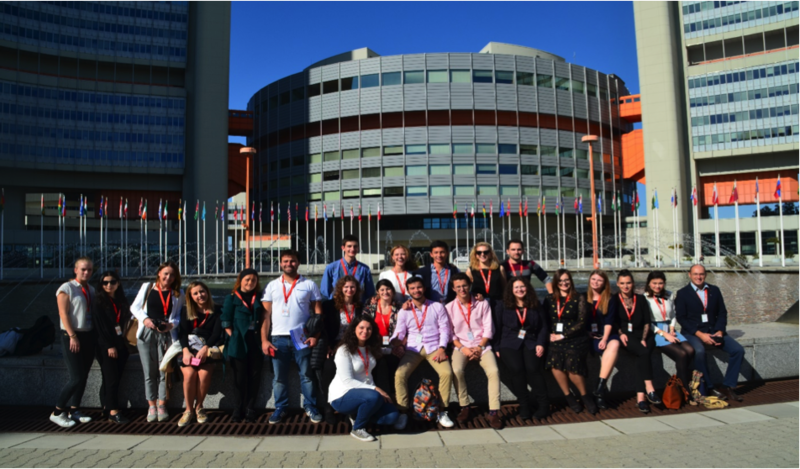 Therefore, being part of a project as ‘MEET- An Interactive Media & Advocacy Training’ in Vienna was a valuable lesson for me as an advocacy and social media intern in WYA Europe. I clearly understood the key principles of social media advocacy and this is helping me in creating a social media advocacy strategy for World Youth Alliance pages, especially by developing a systematic process in adding new materials and new posts in WYA’s Facebook, Twitter and Instagram pages. I have to highlight our visit in the offices of United Nations in Vienna. We had a unique experience to see few of the different UN agencies in this city, be provided with a free guided tour, as well as visit many of the artistic works in the corridors and yards of this complex building. Registration open for the DDD event "The HUMAN project"